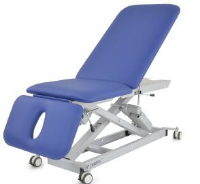 We have 3 different Tilt Tables available ranging from the entry level Lynx Tilt Table to the Column Tilt Table and the High Capacity Bariatric Tilt Table with a 350kg weight capacity. 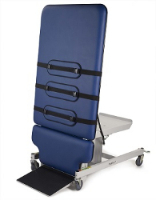 Options available include dorsiflexion foot plates, battery backup, inclination indicator, side rails & colour options. 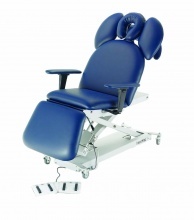 The tilt is infinitely adjustable along with the high low function.